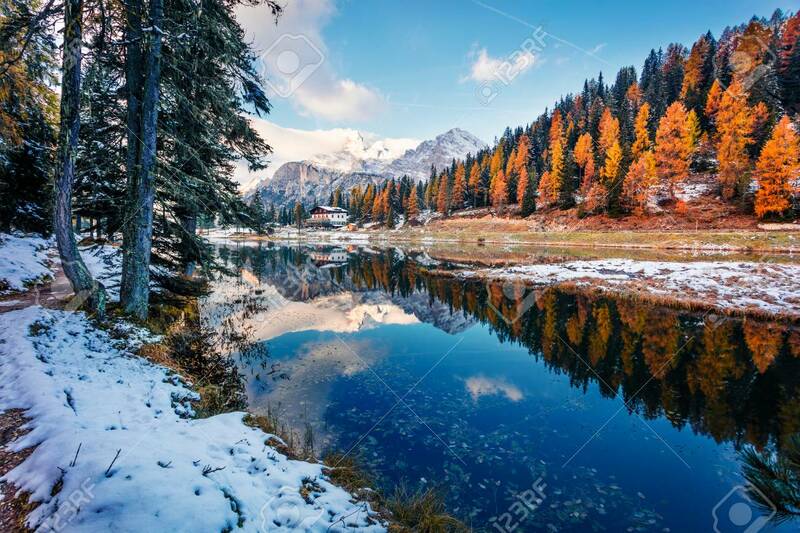 Splendid Sunny Scene Of Antorno Lake, Tre Cime Di Lavaredo National Park. Colorful Autumn Landscape Of Dolomite Alps, Province Of Belluno, Italy, Europe. Beauty Of Nature Concept Background. Fotos, Retratos, Imágenes Y Fotografía De Archivo Libres De Derecho. Image 116546554. Foto de archivo - Splendid sunny scene of Antorno lake, Tre Cime di Lavaredo National park. Colorful autumn landscape of Dolomite Alps, Province of Belluno, Italy, Europe. Beauty of nature concept background. Splendid sunny scene of Antorno lake, Tre Cime di Lavaredo National park. Colorful autumn landscape of Dolomite Alps, Province of Belluno, Italy, Europe. Beauty of nature concept background.